Varanasi : (22/01/19) 15th Pravasi Bhartiya Diwas 2019 about the theme “Role of Indian Diaspora in building a New India” is being organized from 21 to 23 January 2019 at Varanasi, Uttar Pradesh. After the Convention, participants would be given the opportunity to visit Prayagraj (Allahabad) for Kumbh Mela on 24 January, 2019 and see the grand Republic Day Parade at New Delhi on 26 January 2019. PBD conventions are being held every year since 2003. These conventions provide a platform to the overseas Indian community to engage with the government and people of the land of their ancestors for mutually beneficial activities. Besides, The Exhibition will also organize an “Indian Handicrafts and Cultural Bazaar” from 21-23 January 2019 at the PBD venue at Varanasi. 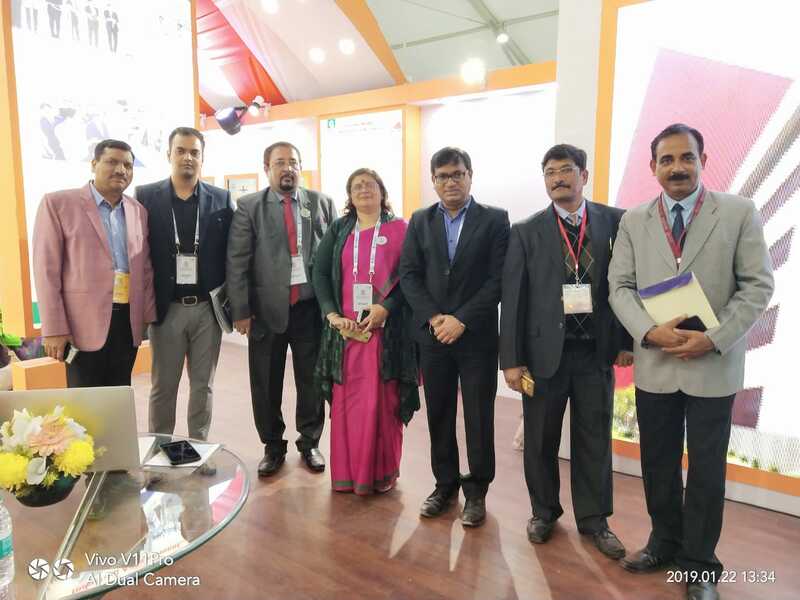 Important officers from Gautam Budh Nagar, like S.K Bhatia, OSD, Yamuna expressway Authority, Narendra Bhooshan , CEO, GNIDA and Alok Tandon Chairman and CEO NOIDA were seen Promoting Gautam Budh Nagar Development Projects at 15th Pravasi Bhartiya Diwas 2019. A NOIDA International Airport is also being showcased at the event .